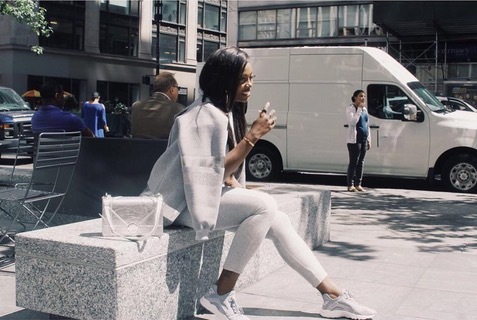 Our very own radio/tv personality Bonang Matheba has been making waves on social media after sharing pics from her trip to New York for New York Fashion Week. However, Matheba is not the only African star taking over the streets of the Big Apple. 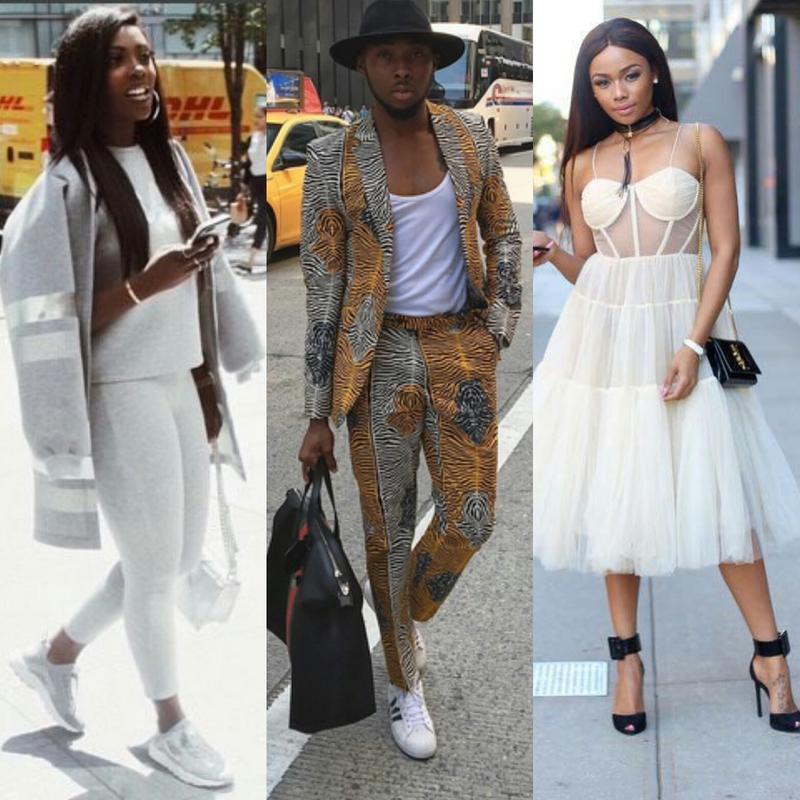 Other African stars have shared their fashion snaps on the streets of the US city recently. Bonang Matheba dolled up in a cream corset/tulle dress by designer Maria Lucia Hohan which she paired with black Saint Laurent heels and purse with a matching black dangling choker. 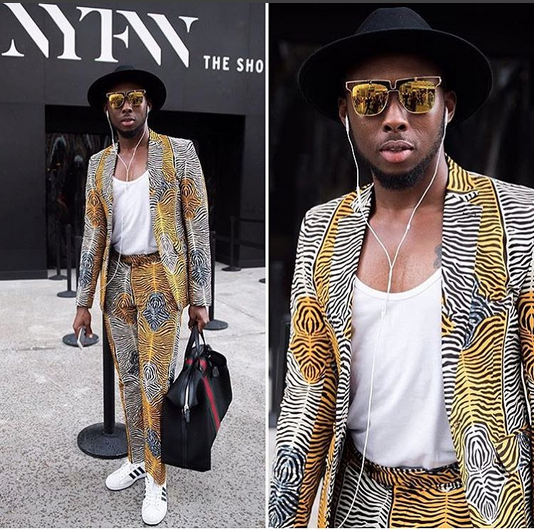 Naija stylist and fashion blogger Efe Tommy of www.uberstyle.org also made an appearance at New York Fashion Week Spring/Summer 2017. 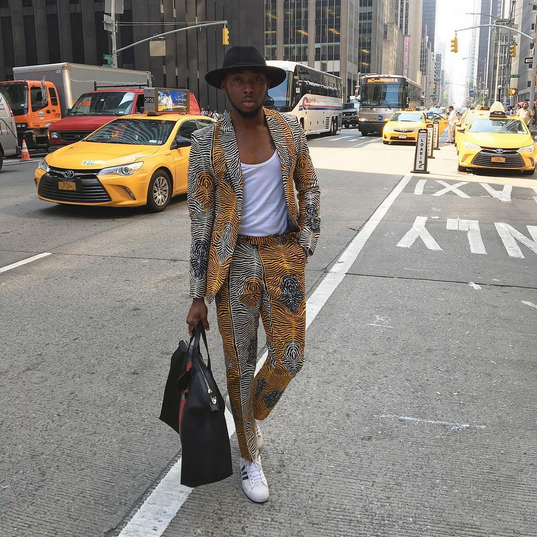 For this day, he strutted on the streets of the city in a @bigbenkilani suit paired with Adidas sneakers and accessorised with Gucci Man Bag. 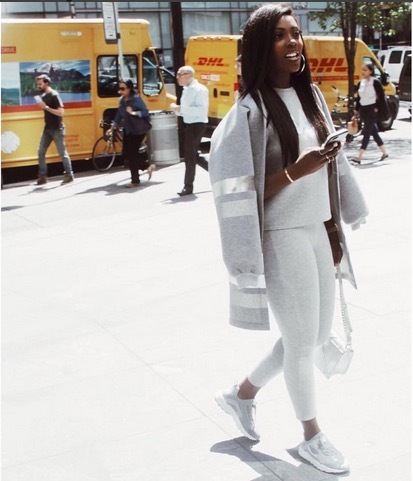 African singer Tiwa Savage walked the streets of New York recently wearing a three-piece outfit featuring leggings, a top and oversize jumper from Women’s Clothing line Samantha Black. The Roc Nation signee is currently on tour in the US.